Which Model is Most Effective? Assistive technology and other related services. Most researchers agree that EI is essential for young children with ASD and can lead to better educational, communication, and social results. They also agree that EI should begin as early as possible, be intensive and include both small group and one-on-one instruction (National Research Council, 2000). Research also suggests that active parent involvement is very important. There are many comprehensive models of early intervention for children with ASD, but they vary in their underlying theory and practice. Different models exist on a continuum ranging from mainly behaviorially focused (discrete-trial traditional behavioral ((DTTB)), to naturalistic behavioral programs (contemporary behavioral (CB)) to primarily developmental/relationship-based (developmental social-pragmatic (DSP)) (Wetherby & Prizant, 2000). DTTB approaches are based mainly on the work of Lovaas (1987) and behavioral principles or applied behavior analysis (ABA). These programs are called Early Intensive Behavioral Intervention (EIBI). EIBI clinicians often break skills down into separate steps that are taught through repeated practice or trials (See Early Intensive Behavioral Intervention or Treatment). CB approaches are also based on ABA, but the practices used tend to be less prescribed than in DTTB. They often use elements of developmental models like instruction in naturalistic environments and following the child’s lead. Examples include Incidental Teaching, and Pivotal Response Training. DSP programs use instruction in naturalistic contexts, following of the child’s lead and ongoing adjustment of supports to meet a child’s developmental needs (Wetherby & Priant, 2000). Two of the most well-known forms of DSP are the Developmental, Individual-Difference, Relationship-Based or Floortime and the Social-Communication, Emotional Regulation, Transactional Support Model (SCERTS). To date, researchers have not yet directly compared the effectiveness of various types of EI for young children with ASD. This makes it impossible to predict which type of program is most likely to succeed. EIBI has been more thoroughly researched than newer CB and DSP approaches and found to be effective for many, but not all (Reichow & Wolery, 2009; Rogers & Vismara, 2008). Some recent studies suggest CB and DSP may also be effective for many children. Research also suggests that all of these models can be carried out by parents within the home; in fact, active parent participation in EI helps its success. Reichow, B., & Wolery, M. (2009). Comprehensive synthesis of early Intensive behavioral interventions for young children with autism based on the UCLA Young Autism Project model. Journal of Autism and Developmental Disorders, 39(1), 23-41. Rogers, S., & Viusmara, L. (2008). Evidence-based comprehensive treatments for early autism. Journal of Clinical Child and Adolescent Psychology, 37(1), 8-38. Wetherby, A., & Prizant, B. M. (2000). Understanding the nature of communication and language impairments. In A. Wetherby & B. M. Prizant (Eds. ), Autism spectrum disorders: A transactional developmental perspective (pp. 109-141). 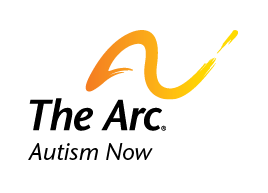 Baltimore, MD: Brookes Publishing Co.
Find similar content about: Autism 101, Health.